Antro lives in Segri village which is in Rani Gaon panchayat. She got married 55 yrs. ago and her groom was from Ramderia village. Just after two months of marriage her husband died and she went back to her maternal home. She began living a new life with her brothers and sister-in-law but always felt like a burden on them. Unfortunately, her brother also died and thereafter her nephew took care of her. But still she always felt that she could not repay his love and contribute in the family’s household. Later on she came to know about Widow Pension Scheme and went bare foot to get her form filled in the Gram Panchayat office but nothing turned into her favour. She tried many a times to avail the benefit but all the time something was missing. She could not make out whose sign was pending and to whom it has to be submitted. She even tried to submit it with the help of a mediator, but the situation remained same. 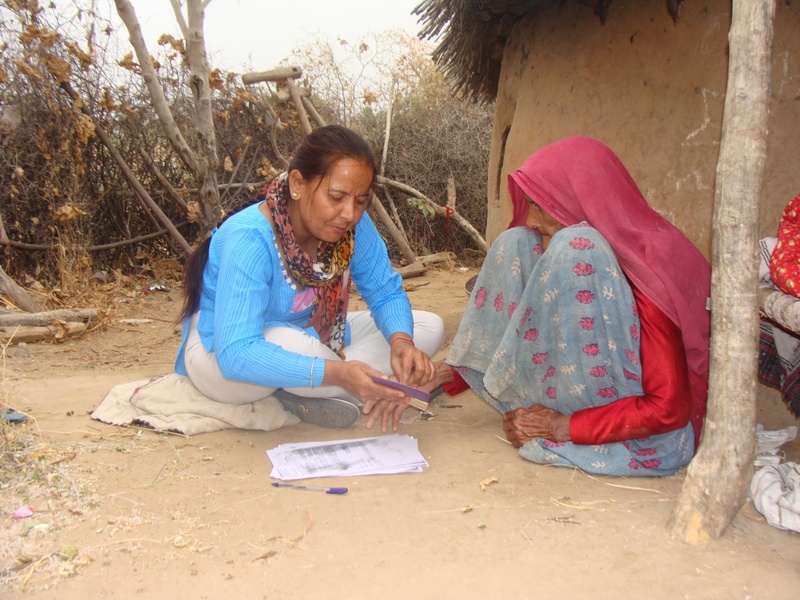 Her miseries came to an end when Soochna Seva team visited her village and while discussing about the Widow Pension Scheme, Antro told her story to them. She narrated that she could not contribute a penny to her family. After listening to her woes, the team registered and submitted her form from their end. Her wait came to an end and she got rupees 750/ month through the scheme. She believes that now she can give some amount to her grandsons and could also contribute in the house.